So this year we finally decided to make a "real" website for ourselves. You know, one that wasn't thrown together in 2 days. And we're pretty happy with how it came out. Like everything online, it's still a work-in-progress, but it's nice to finally be able to point to our web address and say, "check out our site" and not preface that with a bunch of lame excuses. 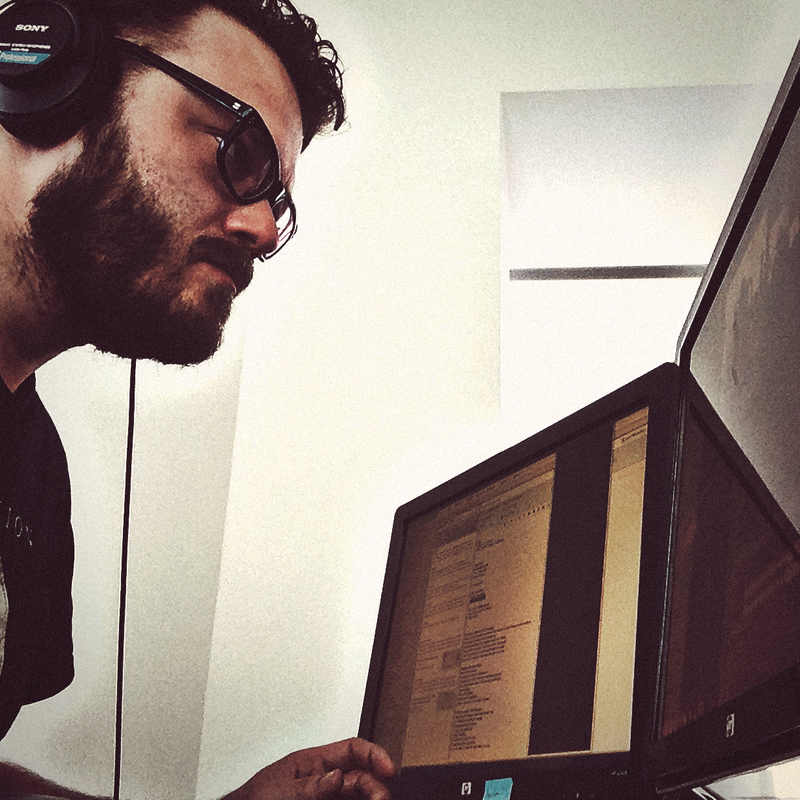 Here's some behind-the-scenes documentation of the process and technology used. 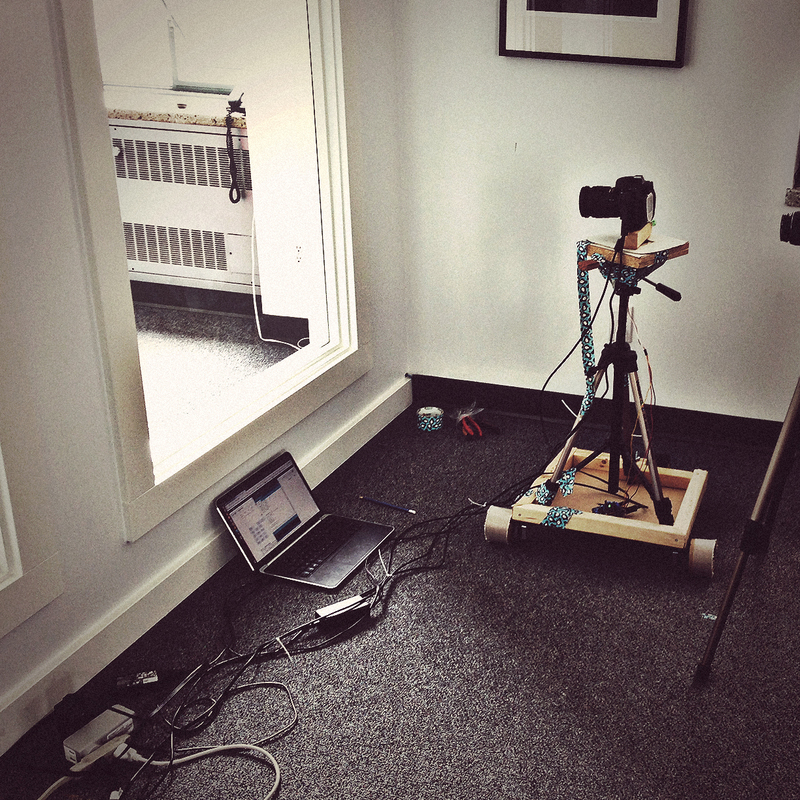 To create the unique time-lapse video featured on our new site, we built a computer-controlled camera dolly that crawled around the office throughout the day to capture our team at work. Art Direction & Design: "Fearless iteration"—and we mean it. 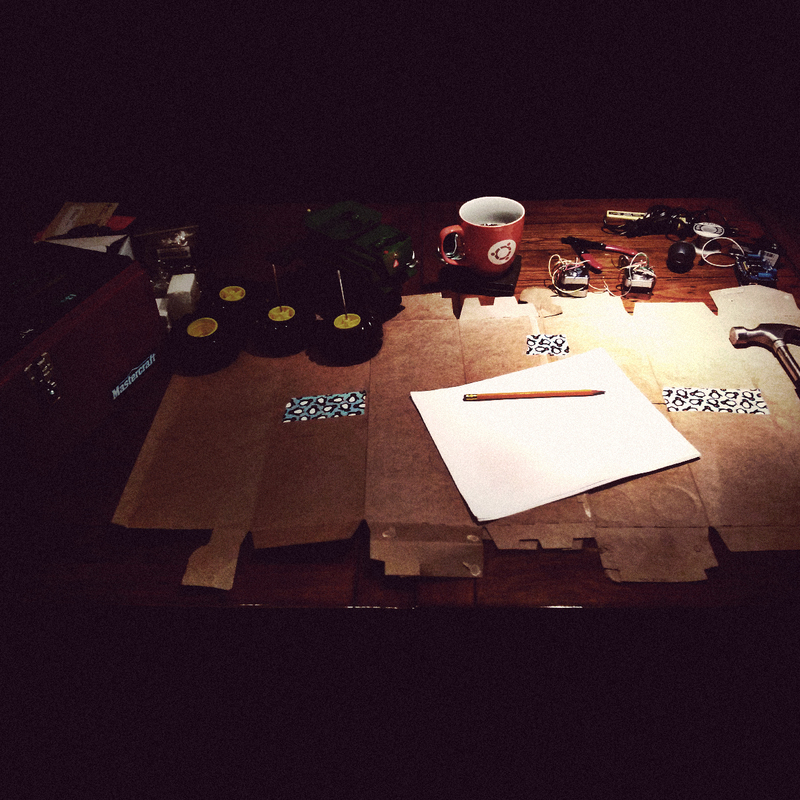 Here are just a few of the video and art direction prototypes used in the process. Getting the right tone and lighting was critical. We created numerous prototypes that experimented with time of day, composition, scale, various cameras and lenses, and typefaces. 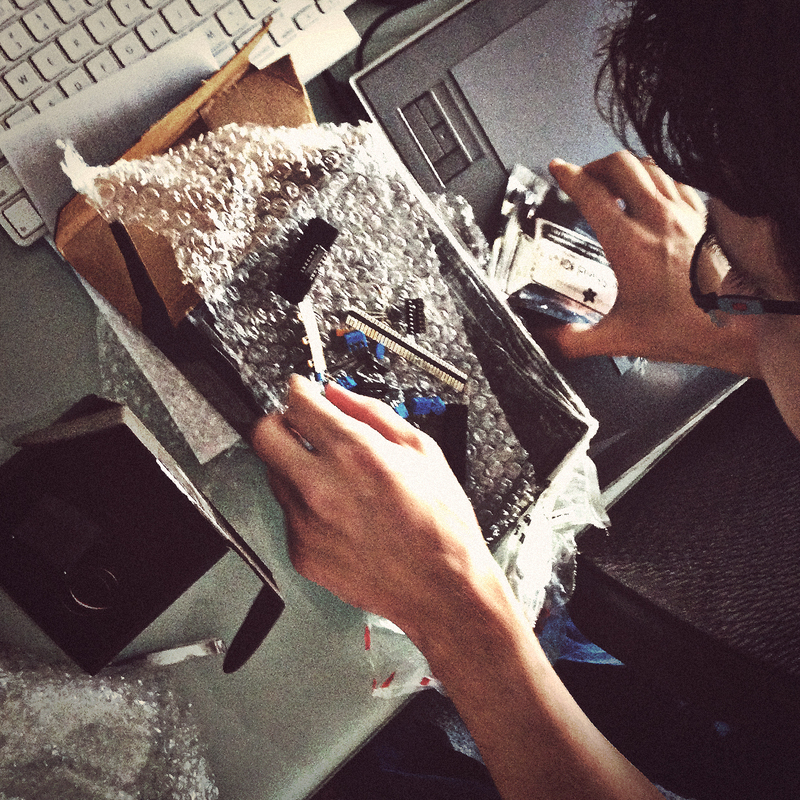 Lead developer Tyler digs into some Arduino gear for the DIY dolly rig. Planning and construction. 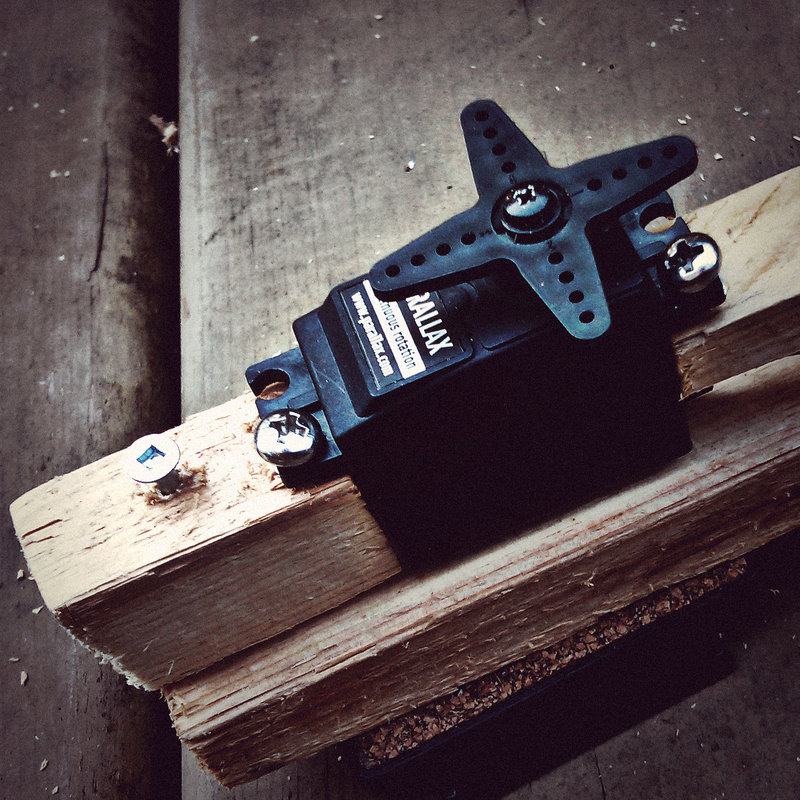 Getting ready to build the custom time-lapse rig. This was the computer-controlled camera "neck". Metal and wood, rawr! 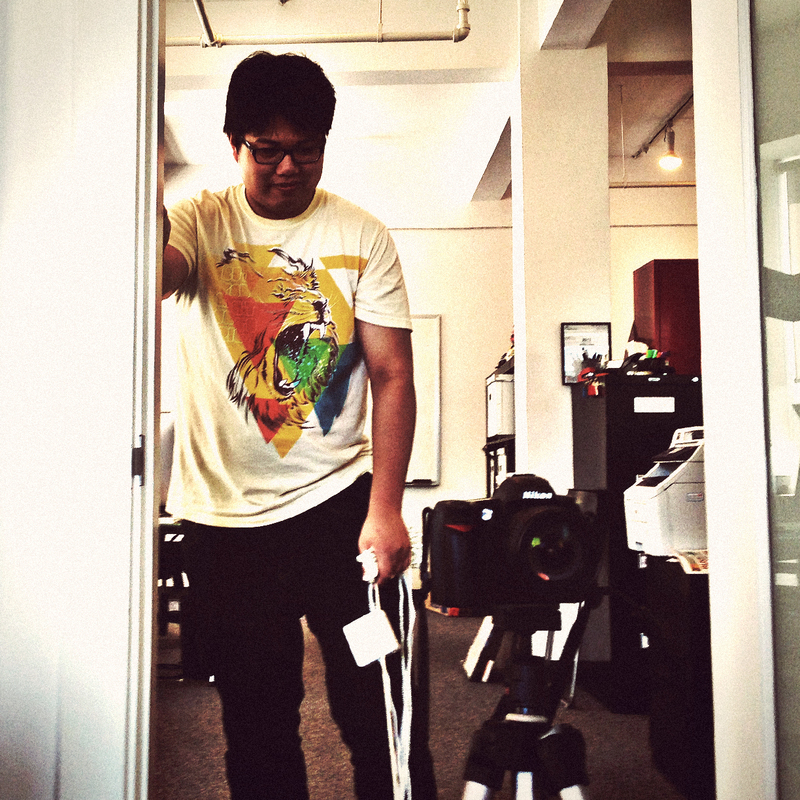 Lead designer Daryl working one of our prototype dollies to test blocking and pacing. 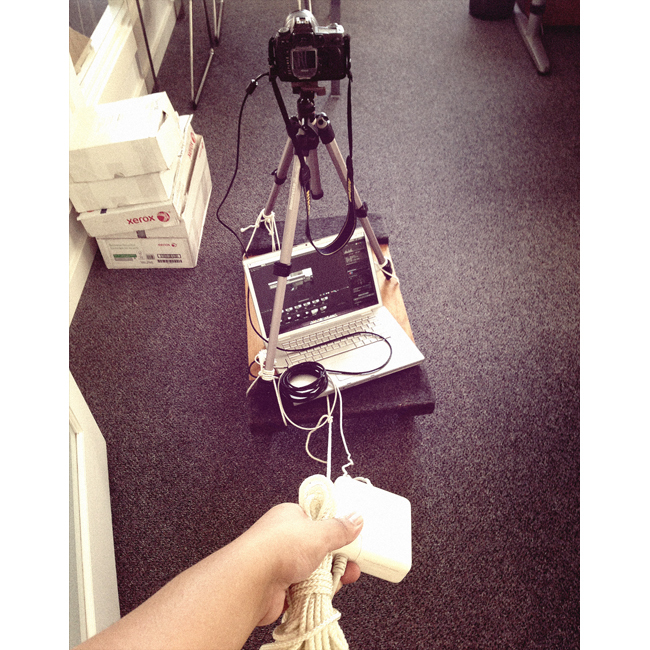 Probably one of the Worst Jobs Ever at Mod7: "stop-motion dolly puller". Shoot day. Walking through the final shoot schedule. The location was a real working studio, obviously, and we had real, paying client projects on the go. So we didn't have a lot of time to mess around. We had only one shot at this. Shoot day. Designers, planners, software engineers... sanitation engineers. 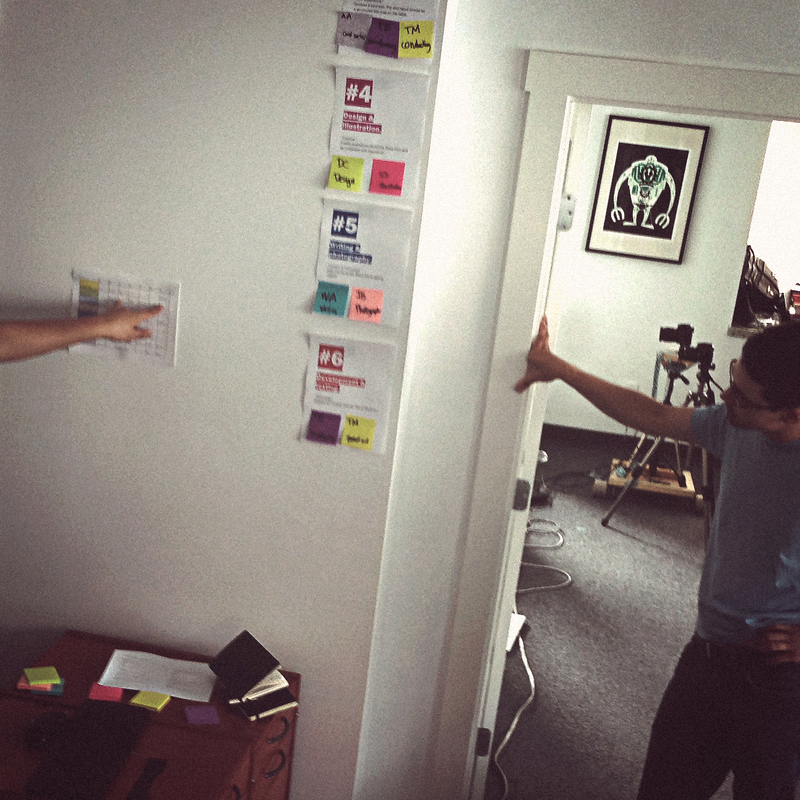 Our multi-disciplinary team at work. 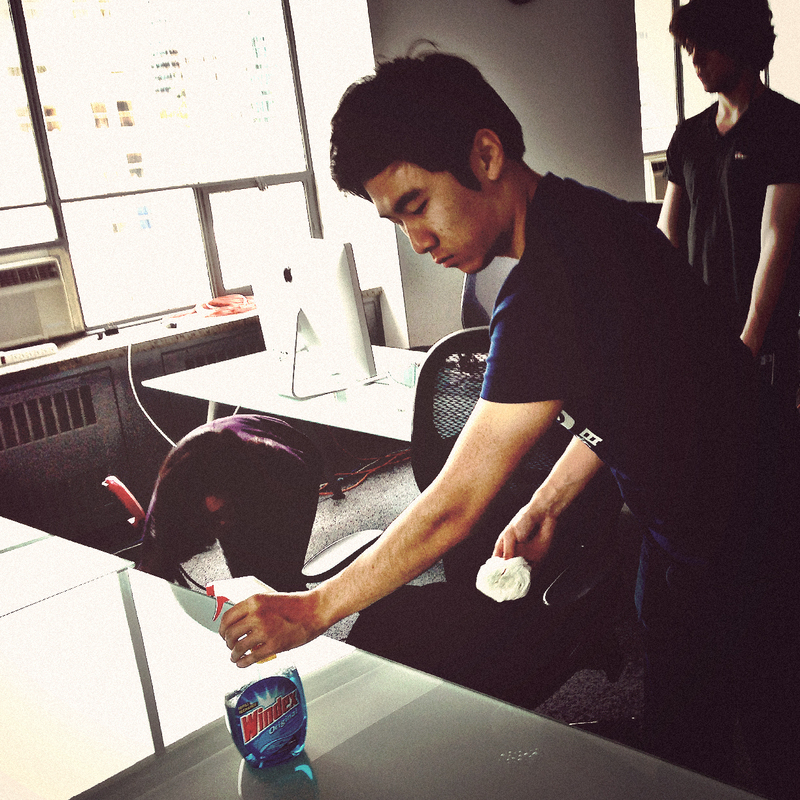 A little glass cleaner helps make the office look a little more presentable on film. Shoot day. 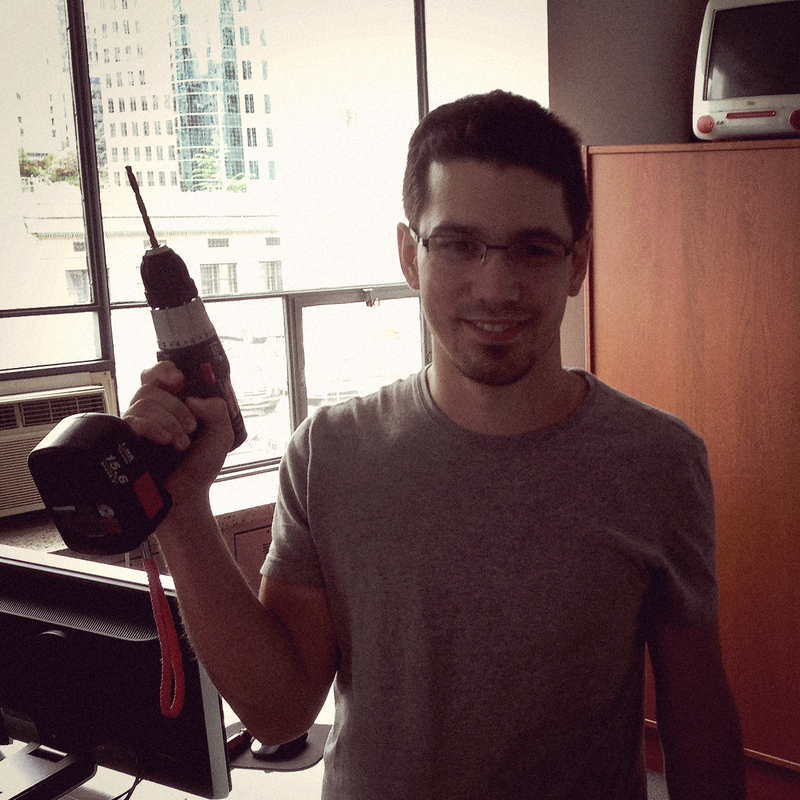 Tyler is ready for any crisis that might require the ability to make precise holes in a rapid manner. Shoot day. 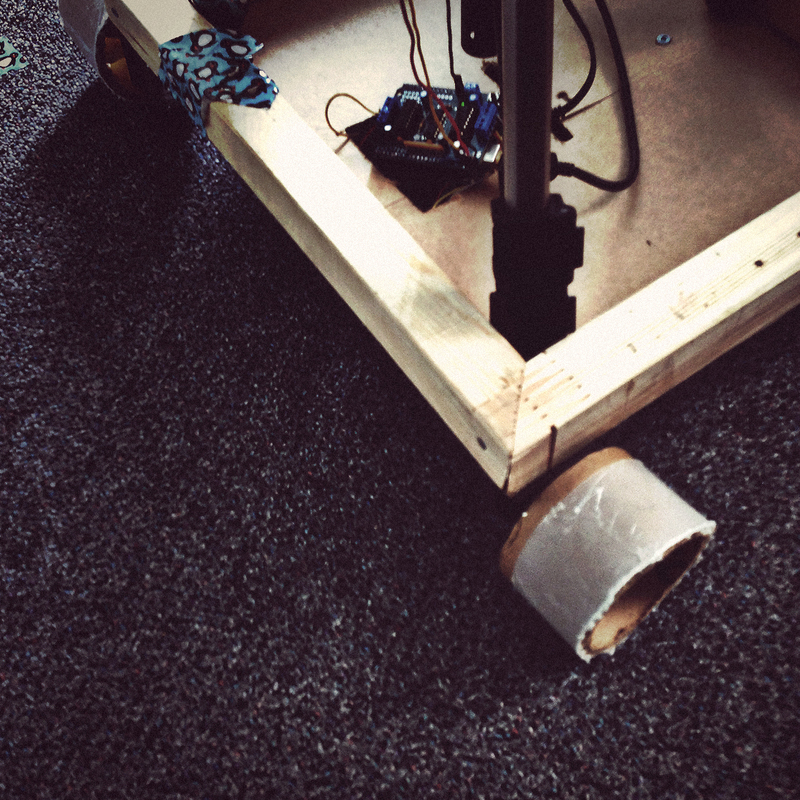 When the original wheels failed to gain traction on our carpet, we had to improvise. Yes, those are spent rolls of duct tape. In case you're wondering, here's the final tally for the materials needed to build the custom time-lapse rig. The final video is viewable on our website, or you can check it out on YouTube below. Please solve the following math question: 2+2=?